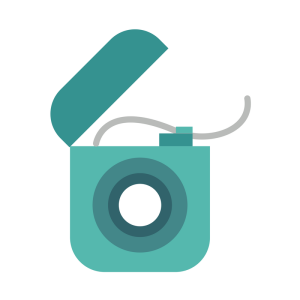 Flossing is essential for your overall dental health. If you don’t floss, you miss out on cleaning 35% of your tooth’s surface, as there are just some places your toothbrush can’t reach. Floss also helps to remove plaque and tartar buildup so that when you brush, the fluoride in your toothpaste can cover more ground. Don’t forget about your gums. According to the CDC, half of Americans have mild to severe periodontitis (gum disease). And what helps prevent this disease? Flossing. Save yourself the toothache and the dental work that come with tooth decay and gum disease and floss your teeth at least once per day. You’re probably thinking there must be a broken record somewhere for how often you hear this from your dentist. And you’ll keep hearing it, because it is so important for your oral health. Brushing your teeth should be an integral part of both your morning and nightly routine. And here’s why. Brushing removes the harmful bacteria from your teeth, that if left too long, starts to damage your enamel and leaves your teeth more vulnerable to decay. Your body naturally produces less saliva when you’re asleep. Big deal, right? Wrong. Saliva creates a natural barrier between your teeth and that infamous bacteria we said can cause so much damage to your teeth. So, brushing before bed helps set up a defense for your teeth when there’s less saliva to do so. Your morning brush, then, helps to remove the bacteria that managed to latch on during the night. Each time you eat, you leave your teeth susceptible to harmful bacteria as well. 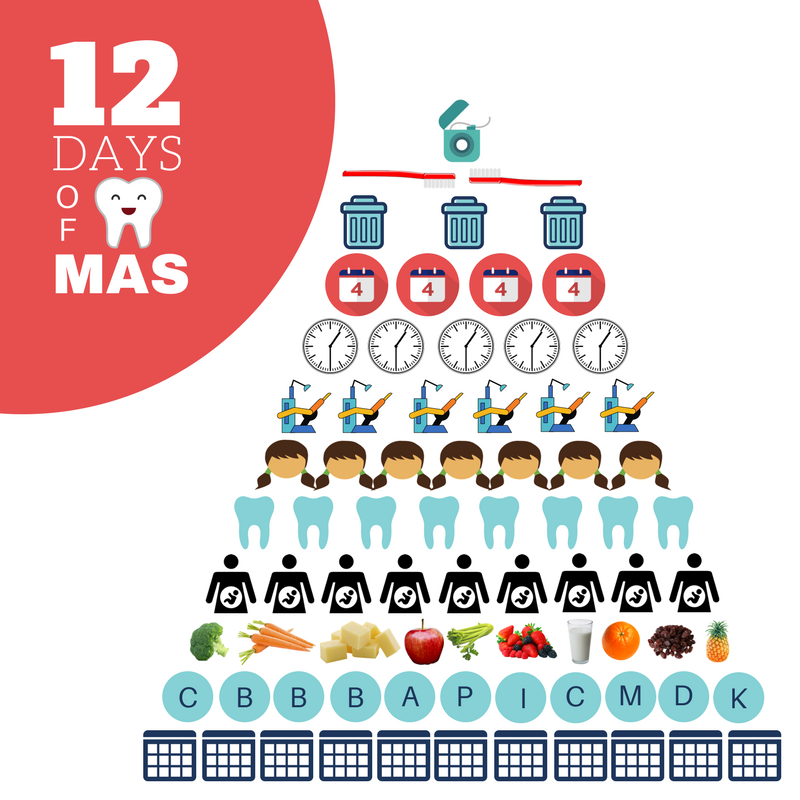 So, if you have the resources, brushing in between meals will get you extra credit with your dentist. You should be changing out your toothbrush every 3-4 months to ensure it is cleaning your teeth properly. 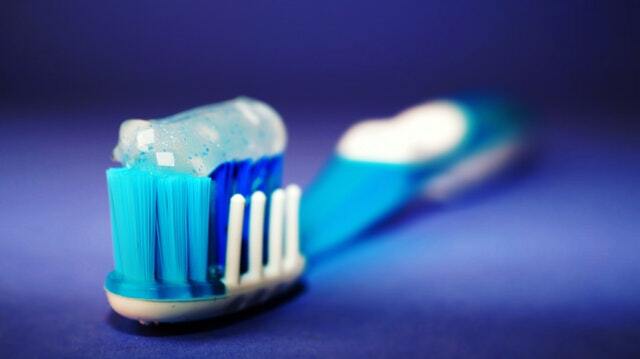 A worn toothbrush can actually damage your enamel and gums, as the bristles can become jagged. If the bristles start to fray, they’ll bend as you brush and won’t be able to reach between your teeth and gums. 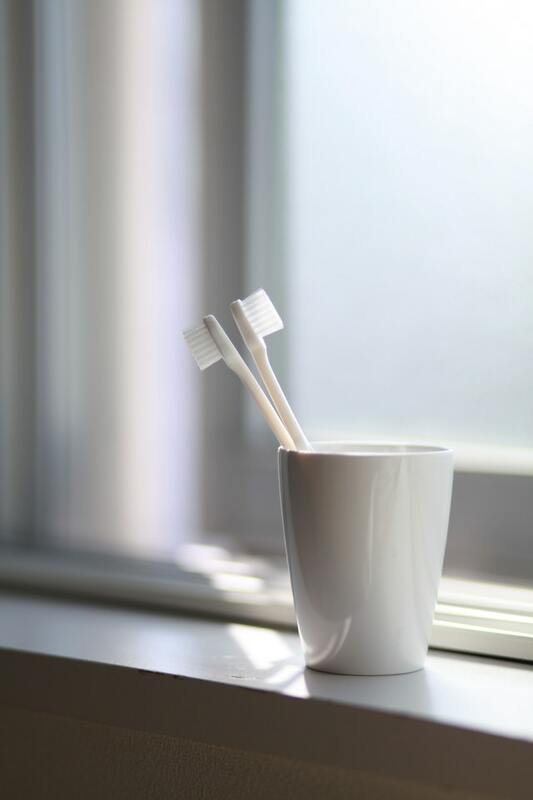 And finally, the bathroom is a notorious place for bacteria growth, so changing your toothbrush often reduces the chance that harmful bacteria can build up in the bristles. Put a reminder on your phone, make a note in your calendar, or sign up for a subscription service that will send you a new brush recurrently. As previously mentioned, you should be flossing at least once every day. And to ensure you have enough floss to clean between all of your teeth properly, you should be using about 18 inches of floss each time. Wrap each end of floss around your index and middle fingers, leaving about an inch of floss and move the floss as you go so that you’re using fresh floss to clean each new spot in your mouth. If you follow this routine, a container of floss should only last you about a month. If you’re using floss picks, you should be using more than 1 pick each time you floss. It’s important to use clean floss in each spot so that you’re not spreading any bacteria from one area to another. In order to be sure your teeth cleaning efforts are effective, you need to spend enough time at the sink to make them count. Each time you brush, you should be spending about 2 minutes, making sure you cover both the outside, inside and chewing side (top) of each tooth, your gum line and your tongue. It should take you about 3 minutes to floss in between all of your teeth, meaning you should be spending at least 5 minutes each time you pull out your toothbrush and floss. 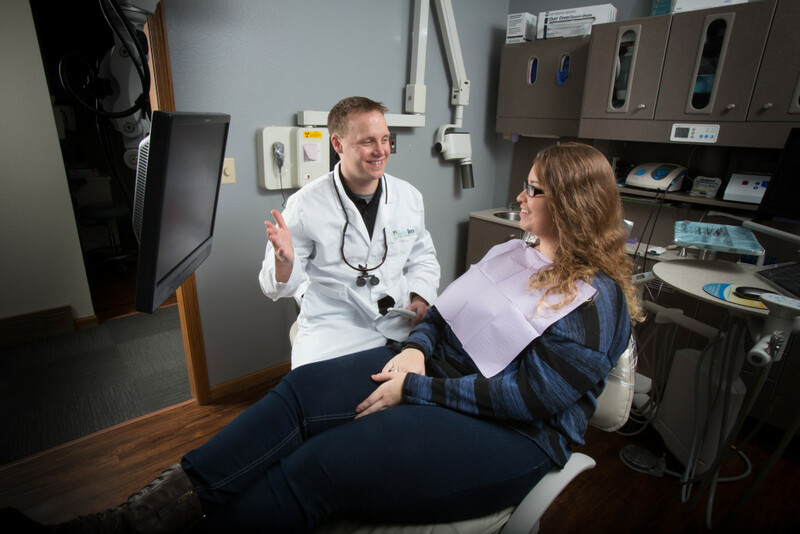 Getting you in the dentist chair twice per year isn’t just our challenge to see how well you can tell us about your life with your mouth pried open – that’s just a perk. The importance of seeing your dentist every 6 months is two-fold. First, it gives us a change to perform an oral exam and identify any signs of decay or disease so we can begin treating them early on and avoid bigger issues. And it’s an opportunity for your teeth to get a professional cleaning to help remove plaque and stains your toothbrush and floss might be missing. Getting regular dental exams helps improve your smile and saves you more money in the long run, as they help to prevent diseases and issues that may require more dental treatment. Plus, we love seeing your smiling faces! 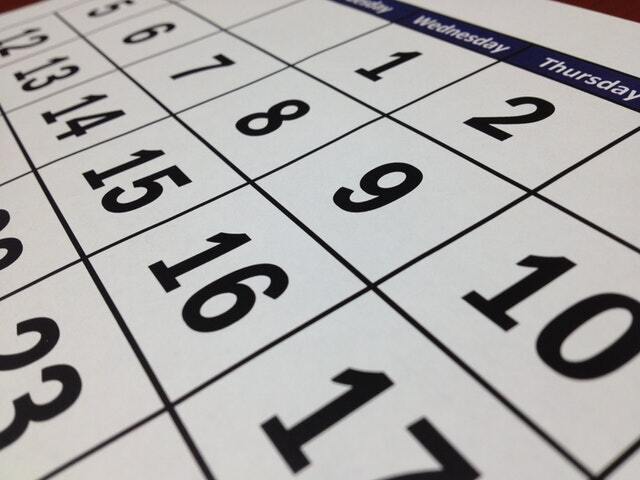 So, do your teeth and us a favor and come see us at Uptown Dental every 6 months! If you follow our Facebook page, you may remember that we recently featured a post about helping your children brush until they’re able to tie their own shoes. This is because children don’t have the dexterity to brush their own teeth until this point. The age your child learns to tie their shoes may differ, but typically this means you should be helping them brush until their at least 7 years old. Don’t be too quick to think you’re off the hook the moment they tie their first knot, though. 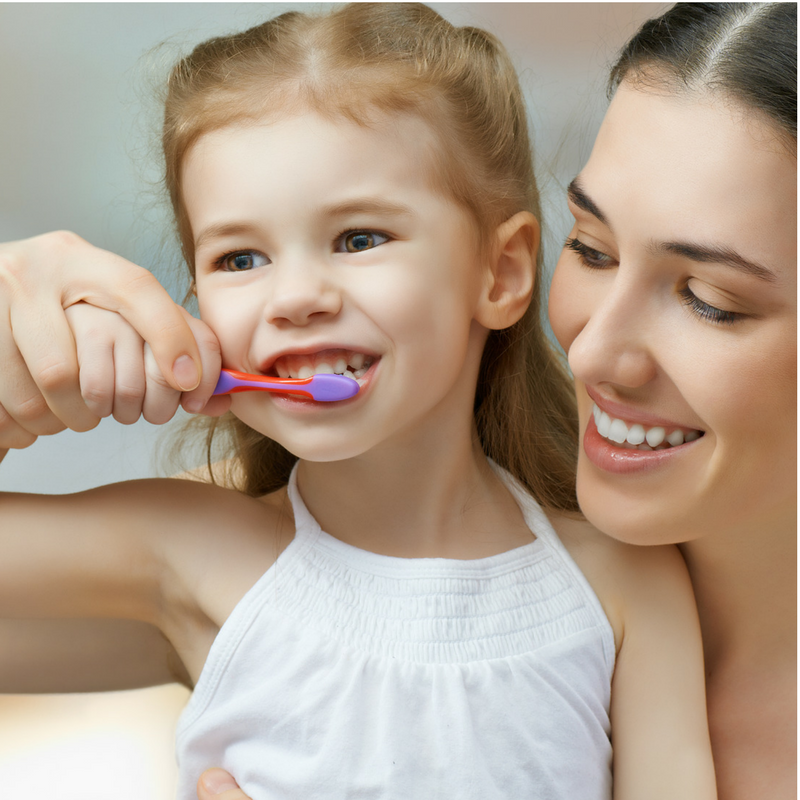 You should still supervise your child’s brushing until at least age 10 to make sure they are truly brushing for 2 minutes both morning and night and that they’re brushing correctly. While all babies are different and reach milestones at different ages, most babies’ first tooth will emerge around 8-12 months. 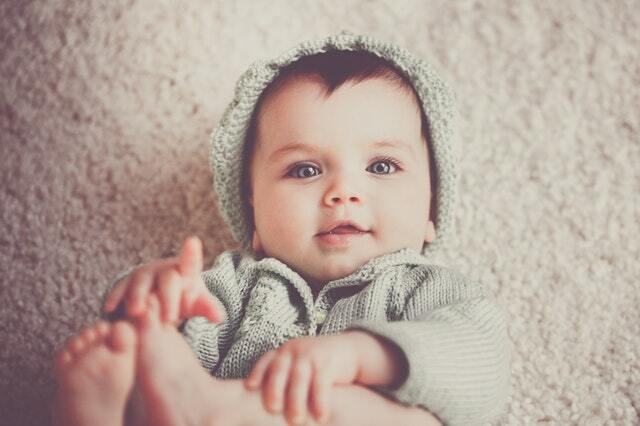 Teeth buds may even begin to form as early as 4-7 months. Besides being another opportunity for a “first” photo op, a baby’s first tooth means it’s time to purchase baby’s first toothbrush. You should begin brushing your baby’s teeth as soon as the first tooth emerges and you flossing should start as soon as two teeth touch. Cravings, morning sickness and hormones, oh my! As if these symptoms of growing a human in your body weren’t enough, they can also lead to increased tooth decay. For some women, pregnancy can be hard on their teeth. During this time, your body focuses its defenses on your growing baby, which can leave areas like your mouth more vulnerable to damage. Furthermore, studies have shown that gum disease can affect your developing baby and increase risk of delivering prematurely. Schedule a dental exam in your first trimester to identify any signs of increased tooth decay. You may need to visit the dentist more regularly during your pregnancy for more thorough cleanings and prevent diseases from occurring. 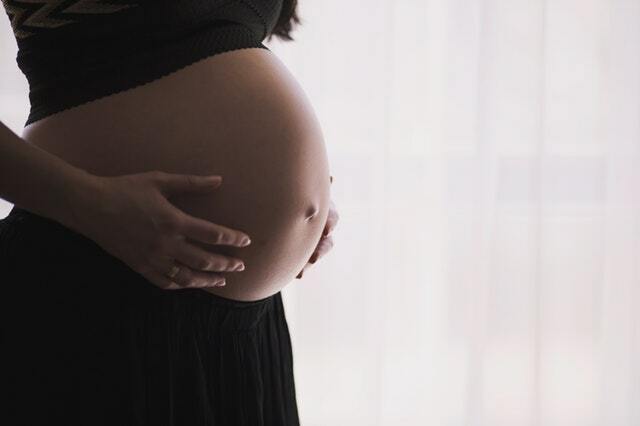 Pregnancy doesn’t automatically mean more damage for your teeth, but practicing extra oral hygiene will go a long way for the health of both you and your baby. Strawberries contain antioxidants that help reduce bacteria and remove stubborn stains from your teeth. Make sure to still brush and floss afterwards to protect against the sugars and acids also found in strawberries. 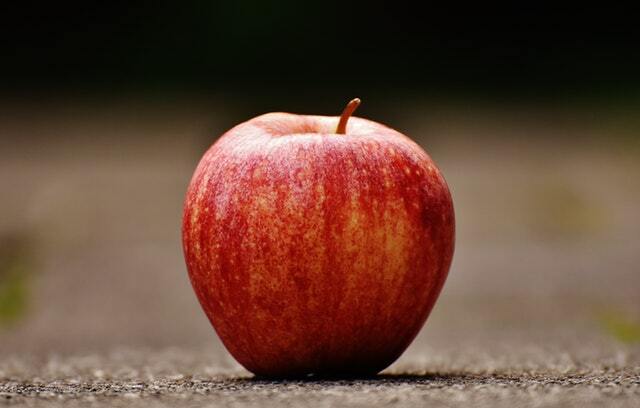 Apples, raisins and celery increase saliva production, which creates another layer of defense between your teeth and harmful bacteria. Carrots have an abrasive surface that help to remove stains and give your teeth a natural polish. While oranges are acidic and too much citrus acid can be harmful to your enamel, the peels contain vitamin C that helps fight tartar and plaque buildup. Pineapple contains bromelain, which has anti-inflammatory and cleansing properties, and has been found to be an effective ingredient in a stain-removing toothpaste. 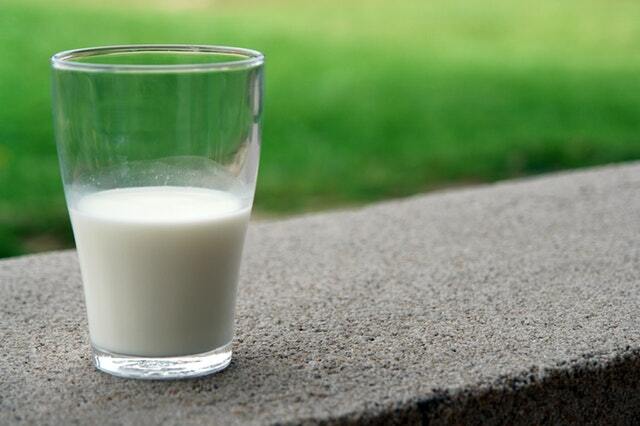 Milk and cheese contain lactic acid which help to prevent against tooth decay and strengthen your teeth and gums. Hard cheeses are especially helpful for whitening, as their texture removes stain-causing food particles as you chew. The iron in broccoli creates a barrier of protection for your teeth against harmful bacteria and eating it raw can help to clean and polish teeth. Calcium helps to form strong teeth and bones and can improve the harmful effects of gum disease. Yogurt, cheese, orange juice, milk and broccoli are all calcium-rich foods. Magnesium aids in the absorption of calcium and helps strengthen teeth. Find it in dark chocolate, avocados, almonds and spinach. Vitamin C prevents soft, bleeding gums and loose teeth. And it can also prevent oral cancer. Enjoy red bell peppers, kale, oranges, broccoli and brussels sprouts to boost your Vitamin C intake. Vitamin D is best absorbed through sunlight and helps our body absorb the calcium it needs to keep your teeth strong and healthy. Vitamin K acts as a shield against harmful substances that can break down bone. Vitamin K rich foods include green leafy vegetables, onions, brussels sprouts, broccoli and prunes. Vitamin B2 and B12 can be found in red meat, chicken, dairy products, pasta, bagels, spinach and almonds. You could develop mouth sores if you don’t get enough of these vitamins. A lack of Vitamin B3 can cause bad breath and canker sores. For a boost of B3, eat turkey, tuna and peanuts. Potassium both improves bone density and helps prevent acid from draining calcium from your teeth. Fill up on bananas, sweet potatoes, avocados and prunes for an extra boost of potassium. Phosphorus works with calcium to build strong bones and teeth. This is especially important for children in order for their adult teeth to form their hard structure. Find it in salmon, sunflower seeds, cheese and milk. Stock up on orange colored fruits and veggies and dark leafy greens to prevent issues like dry mouth and oral cancer. These foods contain carotene, which your body turns into Vitamin A. 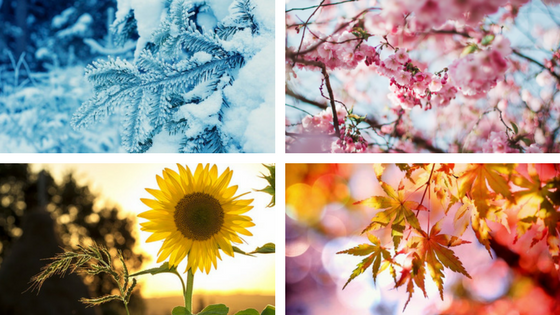 Your oral health affects all other parts of your body and your overall health so it’s important to take care of your teeth and gums all year round. Eat right, brush and floss every day, and visit your dentist 2 times per year. 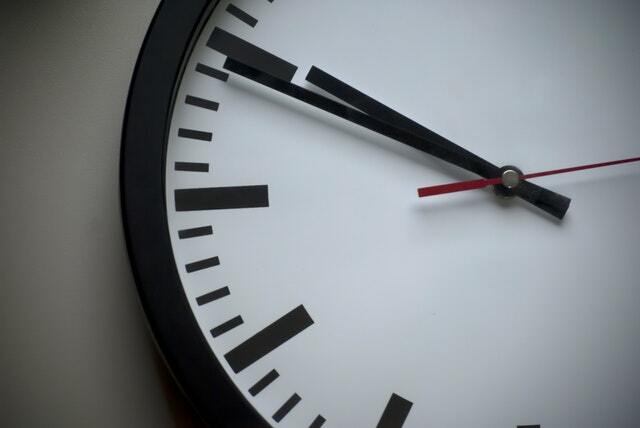 Just taking 5-7 minutes out of your day for oral hygiene can save you time and money in the dental chair later. And you’ll have a brighter, whiter smile to show for it. Check out more of our oral health blogs and follow us on social media for more dental tips & tricks.